RELM Wireless unveils the KNG2, the company’s top-of-the-line P25 portable radio that features a large color screen, louder audio and integrated GPS and Bluetooth connectivity, according to a RELM Wireless official. RELM Wireless recently unveiled the KNG2, the company’s top-of-the-line P25 portable radio that features a large color screen, louder audio and integrated GPS and Bluetooth connectivity, according to a RELM Wireless official. 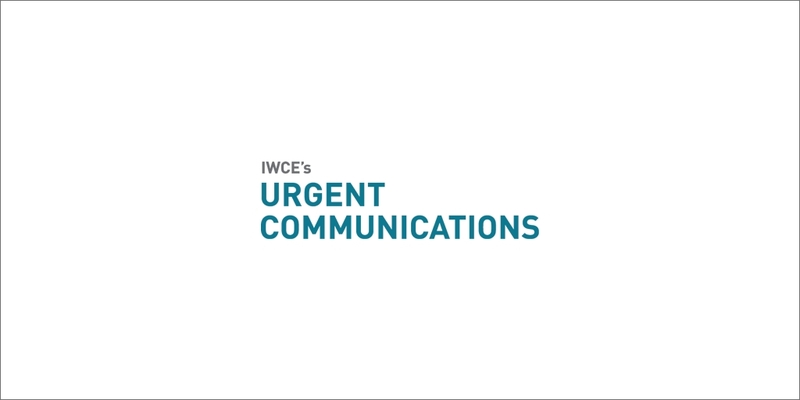 “It’s the next generation of our KNG series portables,” Tim Vitou, senior vice president of sales and marketing for RELM Wireless, said during an interview with IWCE’s Urgent Communications. “We’ve added Bluetooth and GPS on board. It’s integrated into the radio, so you don’t have a peripheral device like a dongle to operate the Bluetooth and the GPS. Other features of the KNG2 include a new push-to-talk design and three programmable buttons—a characteristic that “several customers have asked for in the past,” according to Vitou. The KNG2 is a single-band radio that can operate on VHF, low-band UHF, high-band UHF or 700/800 spectrum, he said. RELM Wireless also offers the KNG S—an entry-level public-safety radio that does not support trunking—as well as the KNG, which “has all of the bells and whistles, whether it’s trunking OTAP/OTAR, (over-the-air programming/over-the-air rekeying) or encryption,” Vitou said. The KNG model also supports GPS, but a peripheral device is needed. In contrast, the KNG2 includes all of the features in the KNG, integrated GPS and Bluetooth, as well as the color screen, he said. “Now we have, in our vernacular, kind of a ‘good-better-best’ inside the KNG portable family,” Vitou said. Introduced at IWCE 2015 in Las Vegas, the KNG2 will begin shipping during the latter half of the year, Vitou said. RELM Wireless has not announced pricing for the KNG2, but there will be a “premium price” placed on the radio compared to the KNG radio, he said. During the IWCE show, several public-safety agencies urged RELM Wireless to partner with other manufacturers in bids for larger P25 systems, Vitou said. “Let’s say there are 20 things that make up a proposal for some of these end-to-end turnkey solutions,” he said. “They [public-safety agencies] really are trying to get away from giving one vendor the whole thing, but they don’t want to give 20 vendors one-20th of it, either. “So, they’re looking for people that may partner with three, four, five or more guys that can add far more than just their own singular value. They’re not afraid of dealing with multiple vendors; they just don’t want it to be 20—and they’re really trying to shy away from a single vendor.